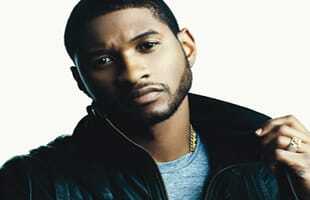 Usher, is an American singer-songwriter, dancer, and actor. He is considered around the world to be the reigning King of R&B. He jumped on the scene in the late 90s and continues to make hits. He is also well known for signing and being the mentor to pop sensation Justin Bieber.